The Kremlin strives to win in moldovan elections with former allies. In November Moldova will hold Parliamentary elections, after which, according to Medvedev, if the country will gain an “efficient power”, they’ll be able to hold negotiations between Kishinev and Tiraspol Leaders. Moscow is assured that the function of the mediator within a Transnistria conflict will be traditionally fulfilled by Russia, however Moldovan experts are not that sure about that. The Transnistria problem is soluble. This was announced on Wednesday during the field meeting of the Munich Conference in Moscow region city of Gorki by the Russian President Dmitry Medvedev. “This is possible, as some time ago I invited a former leader of Moldova, the President of Moldova and the Leader of Transnistria. They can meet and talk. Probably sometimes through clenched teeth, but they can”, - explained Medvedev. He said that the efforts to solve the conflict can be proceed with after the elections in Moldova. “At the same time there is no efficient power due to Parliamentary and Presidential crisis. But as soon as there is one I think we’ll be able to go on with these efforts” – thinks Medvedev. By this the Russian President underlined: it’s important for European states not to try solving their inner political problems “by Transnistria regulation”. And simultaneously specified that this wish concerns Romania, the line of which, according to Medvedev, should be more smooth and balanced. The issue of Romania participation within Moldovan problems, that are related not only to Transnistria regulation, was taken up by the European Union. The Head of the EU delegation to Moldova Dirk Schubel, commenting the open support which is given by Romanian government to the Alliance-in-power in the Republic, stated that “the leaders of other states act indiscreetly, supporting this or that political Party during the pre-election period”. “I don’t think it would be right at this stage to make the kind of statements, as the citizens of the Republic of Moldova should be left alone, to let them chose independently who will govern the country”, - said Schubel during the press-conference in Kishinev. 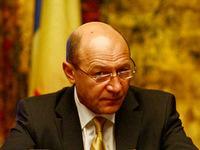 The EU representative made this statement afterwards when in the heat of election campaign in Moldova the Romanian President Traian Băsescu claimed his overwhelming support of the ruling “Alliance for European Integration”. Within his interview to the Mass Media he announced the line of his country: “In Romanian foreign policy we stake at the Alliance-in-power (in Moldova - NG), as it leads the policy allowing to fulfill our efforts to get closer the Republic of Moldova with the EU”. By this he underlined that Romania will undertake also “uncovered diplomatic efforts” to support the regime-in-power of the neighboring state. In the end of September the Minister of Foreign Affairs of Romania Teodor Baconschi also publicly supported the ruling Moldovan power in Kishinev. Then the elections observers qualified the address of the Head of Romanian Foreign Affairs Ministry as “interference of Romania into domestic affairs of the Republic of Moldova and public agitation in favor of the Alliance-in-power, that is accomplished by the government of the neighboring state”. It’s worth mentioning that almost all top officials of Moldova, as well as the main stuff of the Cabinet of Ministers are the citizens of Romania. Due to this fact a famous Moldovan reporter Dmitry Chubashenko noted that Bucharest gained efficient influence over the country via the Moldovan Alliance-in-power. Also experts dwell on the presence of “Romanian lobby” at the top of Moldovan power. Political analyst Nikolay Chirtoacă states, that “the influence of pro-Romanian lobby on the mentality of Moldovan population is observed mainly in cities and small towns”. Moldovan rural made another choice, there they support political powers that strive to preserve Moldovan statehood. In comparison with the “Alliance for European Democracy” most Parties of which preach the unification with Romania. At this pro-Moldovan front there are two parties, which by the forecasts of the observers will be included into the Parliament. These are communists under the leadership of the ex-President Vladimir Voronin and democrats the leader of which is the ex-speaker of the Parliament Marian Lupu. According to the Director of Kishinev Institute of Public Policy Arkady Barbarosh, these are the Parties that most probably are supported by the Kremlin. “The history of the interaction of the Democratic Party with the “Yedinaya Rossiya” (United Russia) suggests Russian support of Moldovan democrats”, - noted Barbarosh for “NG”. And the ideas of that Moscow hopes to reach the mutual understanding with Moldovan authorities, if it will be represented by the Party of Communists, arise from the memories of Dmitry Medvedev when he arranged the talks of Vladimir Voronin (Communist leaders) and Igor Smirnov (Transnistria President). According to Barbarosh “the Democratic Party can establish a coalition with communists”. And this will be the Alliance that the Kremlin will favor. However the Director of the European Institute for Political Studies (Kishinev) Viorel Chibotaru considers the kind of option as unlikely. First of all because the “European Union will recommend Moldovan Parliamentary Parties not to make alliances with Communists”. And as known almost all political powers in Moldova including Democratic Party, and no matter how odd it is, also communists, specified the EU integration as the main program goal. Individually the Party of Humanists stands out from this line, which is headed by the former Defense Minister Valery Pasat. It promises for the voters the joining to the Customs Union of Russia, Belarus and Kazakhstan and in general a full turn within a foreign policy – from the west to the east. Following the idea of Chibotaru, the Parliament will surely include Communistic Party, Democratic Party, and also Liberal (leader – acting President Mihai Ghimpu) and Liberal-Democratic (leader – Prime-Minister Vladimir Filat) Parties. The chances of the remaining participants of the electoral race are not clear yet. Liberals are the niche of Romania. And how strong Russia can count on the loyalty of two left-wing parties, if they head the country, still remains unclear.